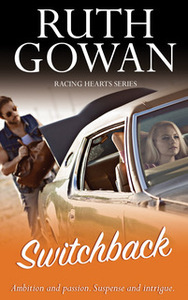 The Racing Hearts series features a number of standalone romantic suspense thrillers all set in the 1980s amid exciting competitive world rally events. 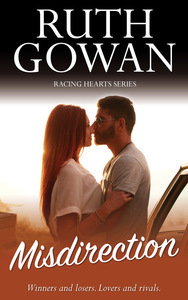 To get your heart racing, download your FREE copy of Diversions, a new novella set amidst the action of the Racing Hearts world of 1980s car rallying. Claim your free novella here. The series counts 3 full-length novels and novella with more tales of romance and intrigue from the rally circuit coming soon. The box set of the first 3 books in the series is OUT NOW on Amazon, iBooks and other eBook retailers. 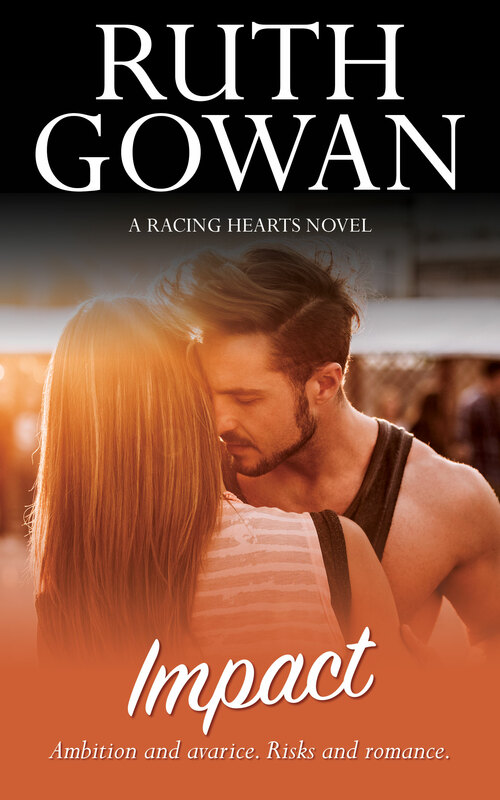 The first book in the Racing Hearts series by Ruth Gowan. What happens when you fall in love with a stranger? Can love survive the thrill of the chase? Petite driver Susan James has to learn to trust her feelings, her man and her judgement. 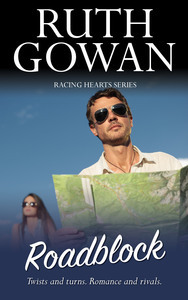 Her unfathomable co-driver, Conor, must separate himself from the desires which threaten to drown him, his career and his future. Trust is a two-way street but Sue is hiding something from him. 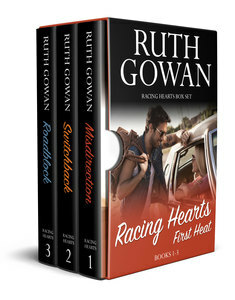 Book two of the Racing Hearts Series is another helter-skelter, fast-paced read from Ruth Gowan. What happens If you meet your soul Mate only to have her disappear? 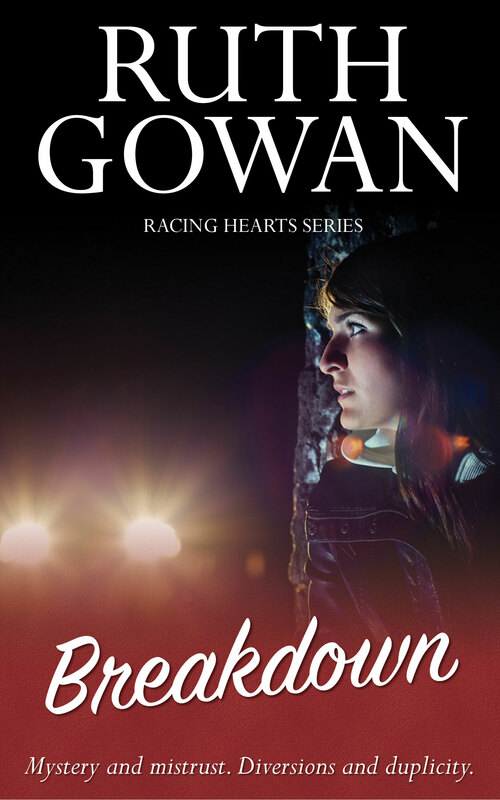 This story zings with strong Irish and Portuguese flavours, Roadblock is another finely plotted novel from Ruth Gowan in which the sport of Motor Rallying provides tension, thrills and high emotions. Vicky has grown to adulthood without a mother. She is an heiress with an ambition to become a top Rally driver. But her family don’t approve of her ambitions. To them, she is a mere pawn in the game of survival. She has been betrayed in love, yet she has the steely determination and will to go her own way. Her path which lies far from her native shore where dark secrets lay hidden and family conflicts raise tensions. She yearns to find again the passion she experienced on the sands of the Red Sea. But her mystery man proves elusive. Duty has cost her dearly. Your Rally car can break down, a person can breakdown or a relationship breaks down. Put all three together and it’s explosive. Once is chance; twice, is coincidence, but three times is enemy action. Casey, a millionaire and North American Champion driver, dreams of a home in Ireland and the World Championship title his brother holds. But an auburn haired co-driver dominates those dreams. It took only one night to ignite desire which will not quit!. Olivia and Casey met in the high octane challenging Spanish Rally. Right people. Wrong timing. Wrong continents. A year later same place, same event but this time his brother is in the driving seat! Olivia, fighting for her inheritance and to fulfil her mother’s dream dropped out of the rallying scene. Until as a favour she agrees to do this event with her best friend’s husband. His dreams dashed, misunderstandings, greed, jealousy cause havoc for Casey! They were perfect together but will they ever team-up again? The Sequel to Diversions OUT THIS SPRING!